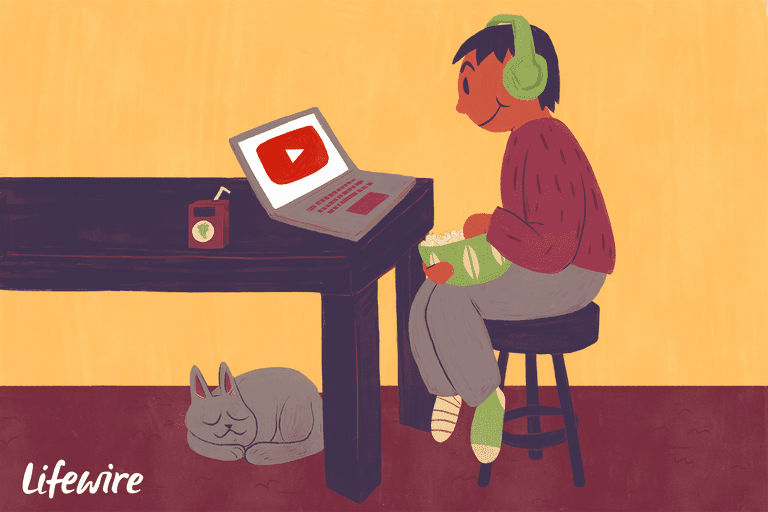 YouTube is best known for its user-uploaded free videos of Matt dancing around the world, talking dogs, and piano playing cats. However, in addition to all those free videos, YouTube also streams an abundance of movie titles, including new releases and classics, via its movie rental service, making YouTube an accessible video-on-demand option. Online movie/TV rental and purchase options. Available on lots of devices. Provides access to movie bonus features. Refunds possible if you have a problem. Not as many title offerings as some competition. HDR not indicated on 4K movie rentals/purchases. Rental and Purchase instructions for some devices not clear. YouTube movie rental and purchase rates vary from $2.99 to $19.99. Rental rates are for a 24 or 48-hour period once you hit play — depending on the film, you may have up to a 30-day window to start the play process. In a similar fashion as other video-on-demand services, YouTube's paid movie-rental service includes current hits (2019 examples include: A Star is Born, Avengers Infinity War, Black Panther, Bohemian Rhapsody, Despicable Me 3, Dunkirk, It, Logan, Hunter Killer, and more) that are available in both standard and high-definition, and a limited number in 4K (depending on whether your devices and internet speed supports the desired option – YouTube suggests an internet speed of at least 15mbps for 4K streaming). There is also a related videos list that you can access from the movie page - you don't need to rent the movie to access the list. The experience of watching YouTube movies on a TV is good. The picture quality is clear and bright on the big screen and there are typically no visible artifacts. YouTube offers a full movie experience — similar to what you find on a DVD or Blu-ray Disc — that includes bonus extras. Some of these extras on the movie page include behind-the-scenes videos, cast interviews, as well as unique parodies, clips and other uploads from YouTube users. Open YouTube and click the Movie link in YouTube's navigation bar. You can also type "YouTube Movies" in search if you have YouTube on a smart TV, media streamer, or game console. Choose new releases, movie genres, or browse through free movies. Once you find a movie to rent or buy, click the title or cover art. After clicking the title or cover art, you will be taken to a detail page that provides information about the film or show as well as some suggestions for other similar films and viewer comments. Click the rent/buy price button to rent or buy the movie (or TV show). Some movies offer both rental and purchase options, and some just offer purchase. To continue, if you haven't done so already, you need to create or log in to your YouTube or Google Gmail account. You may also need to enter a credit card and billing information if this is your first Google purchase. Once the above steps are completed, you can watch the video right away or wait until up to 30 days to start playback. Remember, for rentals, you have to watch the film within 24 or 48 hours from the time you first press Play. However, you can watch the movie as many times as you like within the designated rental window. If you purchase a film, you can view at any time, as many times as you like. Roku TVs and media streamers. For the purpose of this review, two paid movie rentals and one free movie were viewed. The first movie tested was The Green Hornet, which was viewed on a Google TV's (predecessor to Android TV) Chrome web browser. Twenty minutes into the film, it jumped to the end of the movie and stopped. In order to solve the problem, the film slider was positioned just past the point where it jumped. It played again for 10 minutes and again jumped to the end. The same thing happened on a PC. Not being able to watch the movie, a refund was requested. The process was easy and efficient. To get a refund, go to your YouTube Account tab > Click the Purchases tab > Click the Report a Problem link. Once you have indicated the problem you had, click on the option that you want a refund. In some cases, the money is refunded quickly. However, YouTube way want more verification to enable troubleshooting on their end to solve the problem before authorizing a refund. The two remaining films viewed: The Dilemma and Super Size Me played without further problems. Overall, the YouTube movie rental service is easy to use, particularly if you are accustomed to watching videos on YouTube. While the picture quality is satisfactory, other services that offer high-definition videos — Vudu, Amazon on Demand, Netflix — outperform YouTube and offer most of the same films, and they offer more selections in 4K if your TV has that capability and your internet speed is fast enough. Visit YouTube.com/Movies to try out the service for yourself. For additional assistance, also check out an instructional video, and/or the YouTube Movies Support Page. The YouTube movie rental service should not be confused with YouTubeTV, which is a paid subscription streaming service that provides access to a package of several TV and movie streaming channels for a flat monthly fee. YouTube TV is similar to services such as SlingTV and DirecTV Now which provide a cord-cutting alternative to cable and satellite TV. YouTube Premium – The Ad-Free Version of YouTube (requires paid subscription). YouTube for Kids – A variation of YouTube featuring entertainment and educational content targeted for children. The YouTube for Kids app is available on LG, Samsung, Sony, and Android Smart TVs. The app supports both free and premium (Ad-Free) versions.